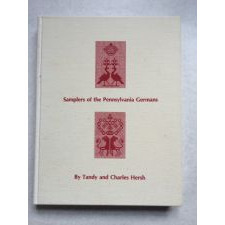 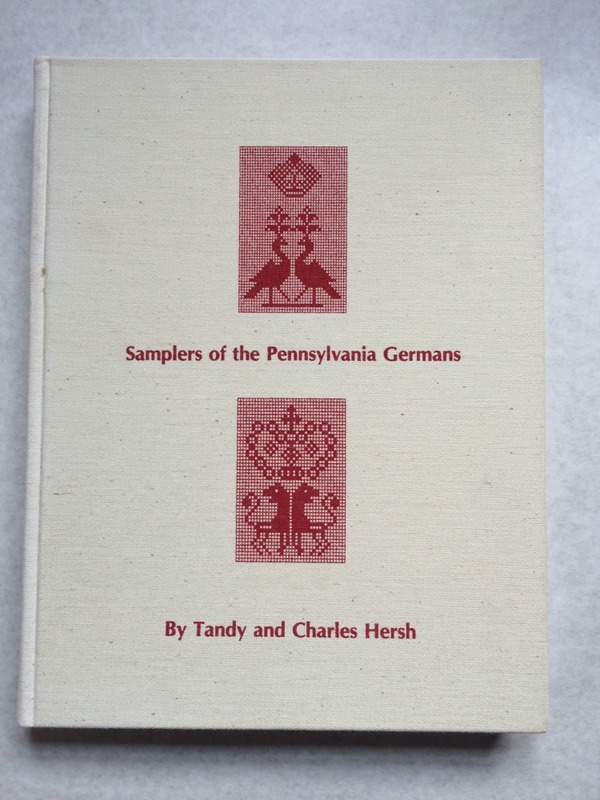 Samplers of the Pennsylvania Germans by Tandy and Charles Hersh was published for The Pennsylvania German Society, Birdsboro, Pennsylvania, in 1991. 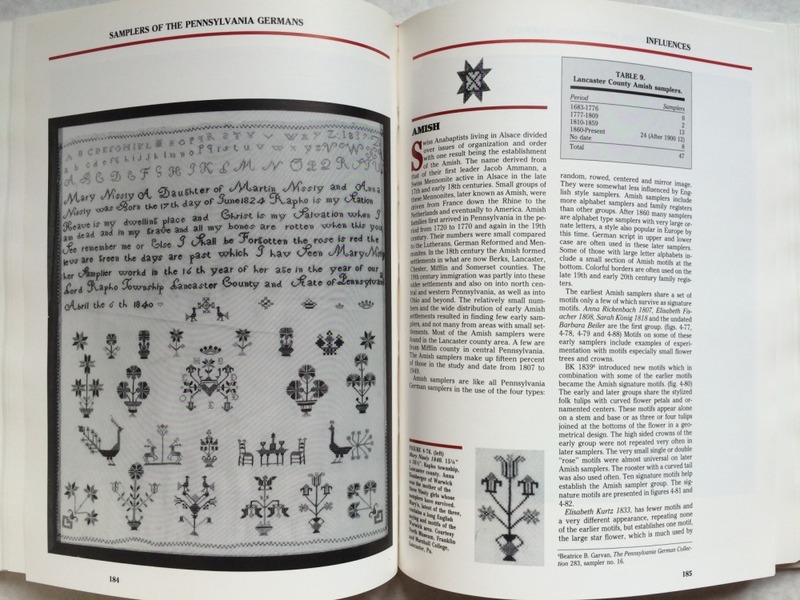 The book takes an in depth look at all aspects of these samplers, and traces the change over time of design, materials, influences, and more. 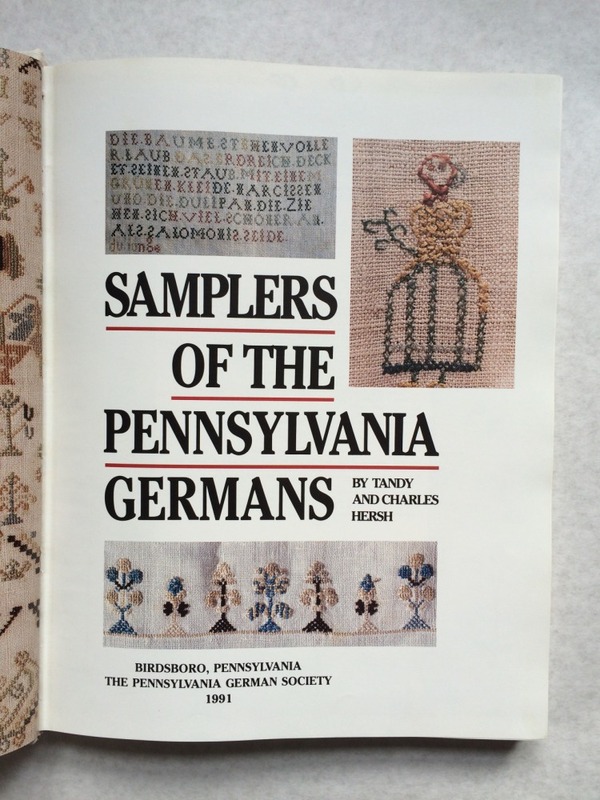 By researching the origins and design trends of Pennsylvania German samplers, the author shows that regional European precedents were carried over with German immigrants to resurface in small pockets of settlement in Pennsylvania. 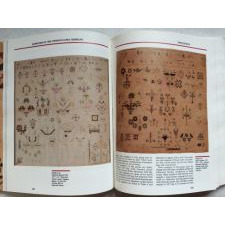 Other chapters cover the transition of style from 1683-1776, to refinement 1777-1809, to continuity and change 1810-1859, then survival from 1860-present. 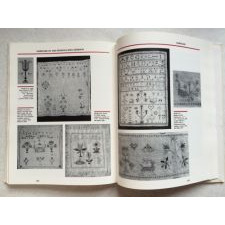 Other topics cover motifs used in decoration that had various family, community, and religious influences. 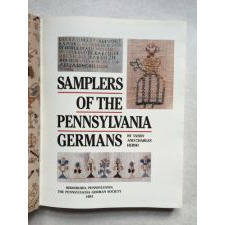 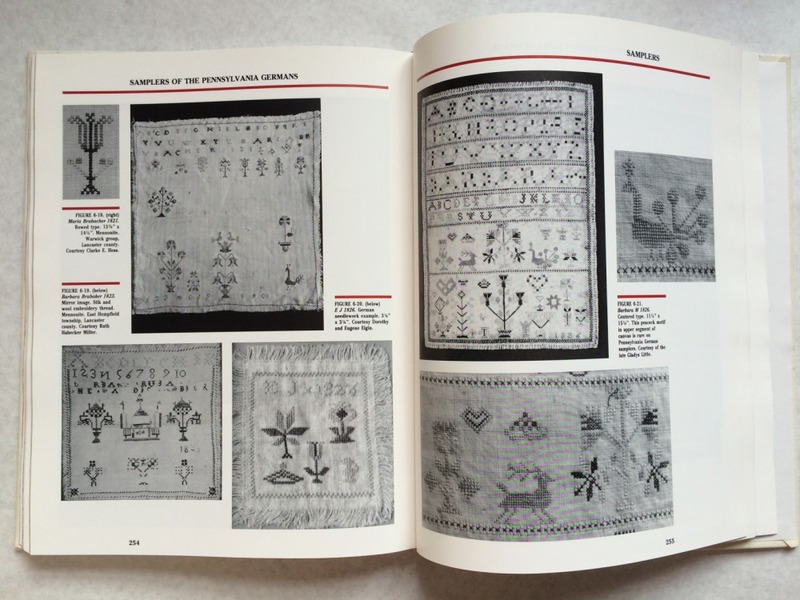 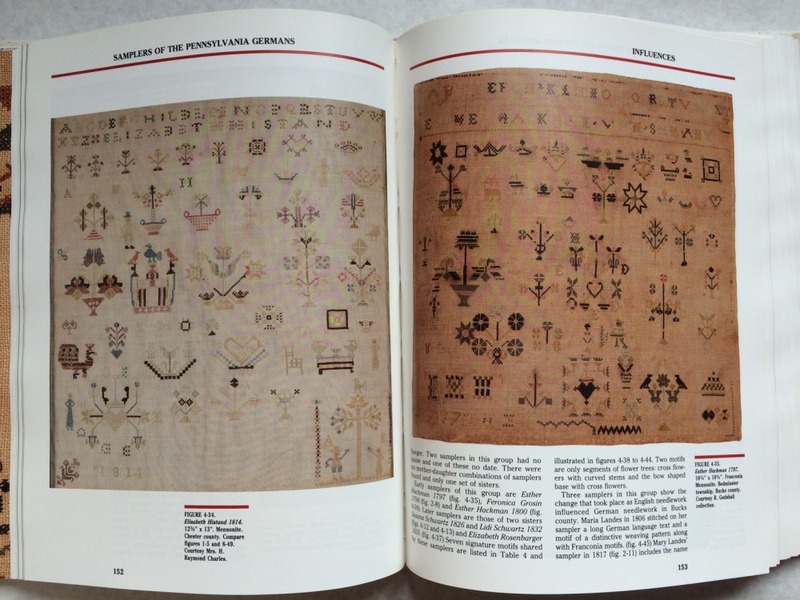 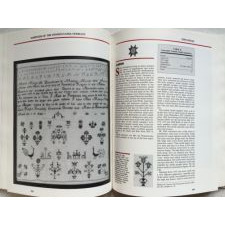 The book has 303 pages and more than 250 black and white and color photographs of samplers.